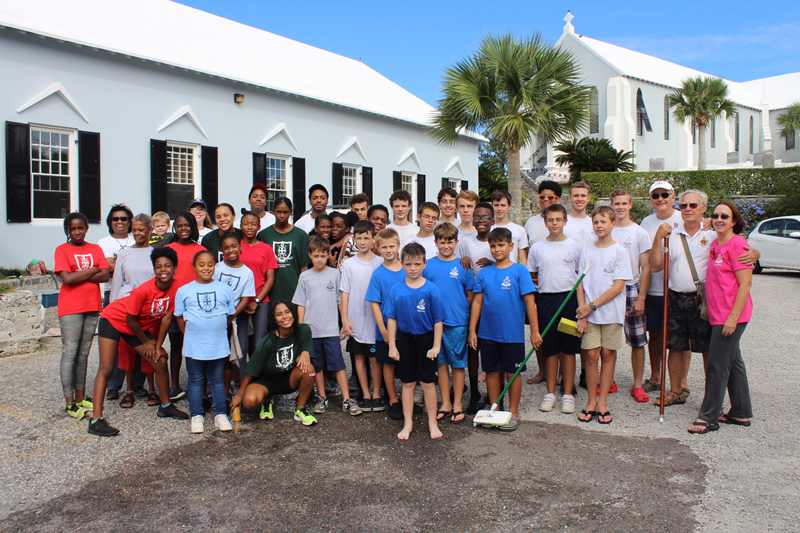 The Bermuda Boys Brigade and the Church Girls’ Brigade worked together at their annual Christmas Car Wash at St. Paul’s Church car park in Paget and also held their Christmas sale of holiday decorations and gifts in the hall, serving to raise $1400 for charitable giving this Christmas. A spokesperson said, “On Saturday, November 10, 2018 the Bermuda Boys Brigade and the Church Girls’ Brigade worked together at their annual Christmas Car Wash at St. Paul’s Church car park in Paget. “The Boys’ Brigade also had a Christmas Sale of holiday decorations and gifts in the hall. The Boys’ Brigade and Church Girls’ Brigades members – past and present, their families and their leaders raised $1400 for charitable giving this Christmas. 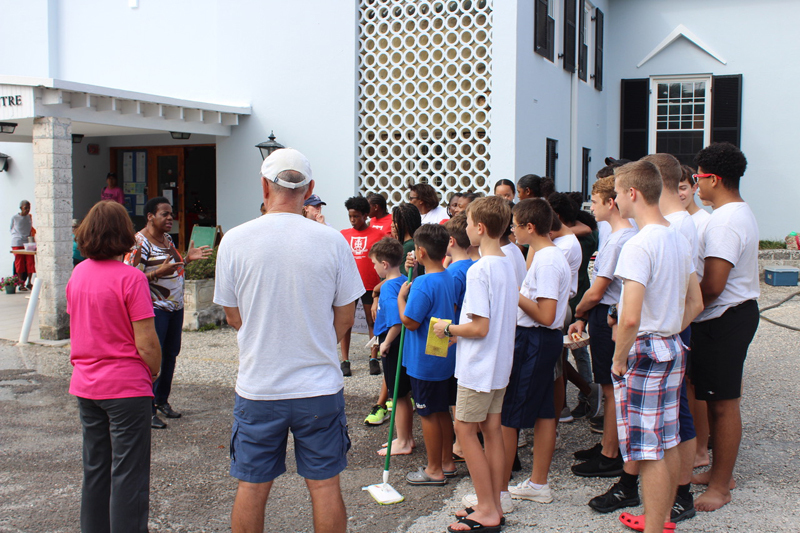 “Brigade families were asked to donate their time and work together to raise funds to help Bermuda’s children. $1400 of BELCO electricity was purchased for The Family Centre who will then gift them to their clients. “The Family Centre’s Executive Director, Mrs Martha Dismont attended the Car Wash again this year to thank the boys & girls for helping this organization, which in turn helps so many families. Mrs Dismont said that she enjoyed speaking with the young people and and watching their faces ‘take in’ the message. “Our next Car Wash will be at our annual Valentine’s Fair on Saturday, February 9, 2019 from 9 am – 4 pm at St. Paul’s Church car park in Paget. The Car Wash is a great way for our members to demonstrate Christian charity at work and also have fun, and for our Brigade families to get to know each other and the leaders better.